Sectional Garage Doors Durham: Sectional garage doors are of a superior quality and are recommended where the garage and home are connected (integral garage). They offer a high standard of security as well as exceptional insulation to save energy and keep draughts out. 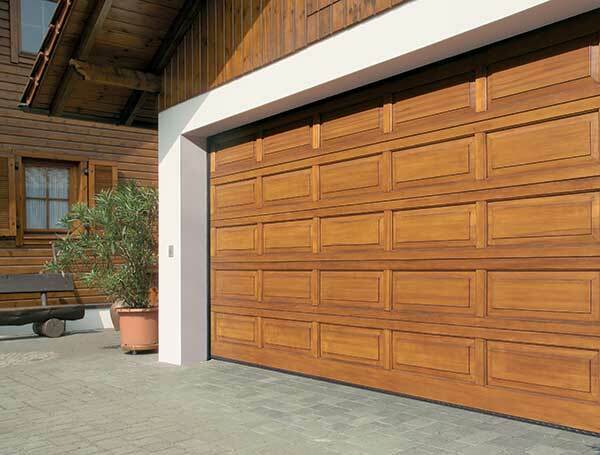 Sectional garage doors work best with automatic operating systems and will add additional security to your door. Our Hormann manufactured sectional doors fitted together with a Hormann operator meet with Police approved Secured by Design status. Available in a variety of styles, finishes and colours, sectional garage doors will make your garage door the focal point to the exterior of your home. We are confident that we can supply, install or repair the garage door that suits your needs.